Beavers, Cubs, and Scouts in your local area. 75th anniversary next year – or this year? 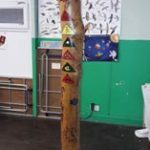 1st Pontygwaith Scout Group celebrates their 75th anniversary next year and since 1966 there has been a totem Pole in the hall depicting some of the Groups history. As far as we are aware the totem pole was actually a pit prop from the local mine and we would like to find out more about how the group came to have it and which mine it came from. 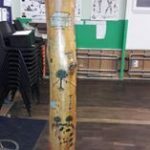 We are also looking for a local artist that could help the scouts update the pole as there a number of events we would like to add to the pole. We also have some vacancies in all sections for young people between the ages of 6-14 years of age and would also be interested in hearing from any adults who would like to volunteer. There was a problem with the Contact Form which has now been fixed. Page stats: 20 queries. 0.380 seconds. Website designed and developed by Ian Webber.